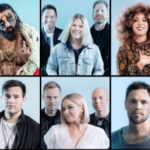 Just a while ago the Norwegian national final was completed crowning winners the group KEiiNO and their song “Spirit in the Sky”, whick will represent the country in Eurovision 2019. Host of the show were Kåre Magnus Bergh and Heidi Ruud Ellingsen, while guest of the night was ESC 2018 winner Netta who performed “Toy“. Once the performances were over the 10 international jurors gave their votes in, giving the flag of their country to one song. The International jury voting developed as following. 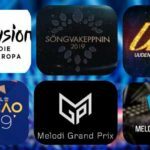 Norway: NRK decides the introduction of 5 semi finals in Melodi Grand Prix 2020.